​It is exciting to be involved in an expanding and accommodating e cig industry. As a customer however, we understand that it may be difficult to pick a provider. 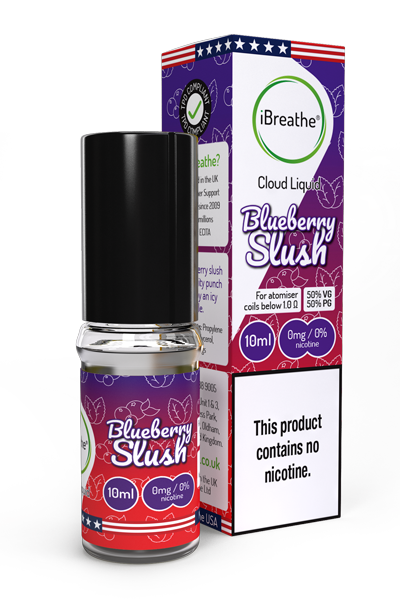 We want to assure you that you can rest easy with iBreathe, as we stock everything for an excellent vaping experience and are e juice uk specialists. When you opt for an e juice with us, you are sure to have a quality product and hours of fulfilment. With the possibility to pick from flavours sweet and savoury, different styles and intensities - we provide an extensive and exclusive range to give you the choice you deserve. Whether you are experienced in e cigs or a beginner looking for a safer alternative to smoking, by opting for a juice with iBreathe you are sure to be satisfied and safe. Our liquids and juices are free from the thousands of chemicals found in conventional cigarettes; instead we use liquid-nicotine, vegetable and propylene glycol and quality extract flavouring. We are always striving to cater to our clients’ needs and are inspired by any ideas for new flavours and experiences. With affordability and accessibility two other factors we regard highly, we can assure you on value for money when you choose our products. With their quality packaging and high safety standards, a choice of e juice with one of our e cig systems is certainly the way to go. We look forward to opening new experiences for you and letting you breathe easy with iBreathe. Disclaimer: Please note that product packaging is for illustration purposes only. Actual packaging may vary in design & appearance.